Iittala’s Essence Plus wine glasses, does size matter? Does the size of a wineglass make a difference in your enjoyment of it? I think so but as a trained wine professional, I get paid to pick out the subtle differences in wine so anything that will help me when I’m tasting a wine is always welcome. But what about the average consumer who just wants to enjoy their glass of wine? 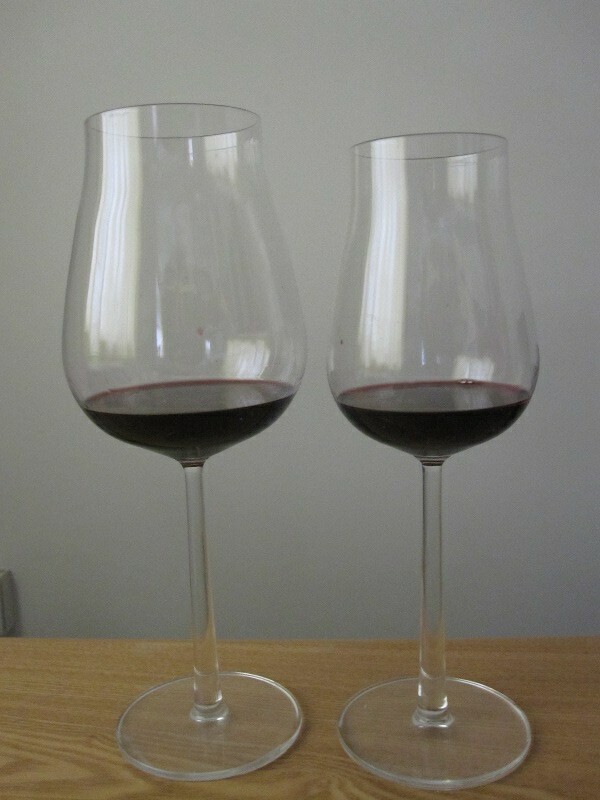 I was asked to do a consumer demonstration with Essence Plus wineglasses the other day to see if the size of a wine glass does make a difference in one’s enjoyment of wine. 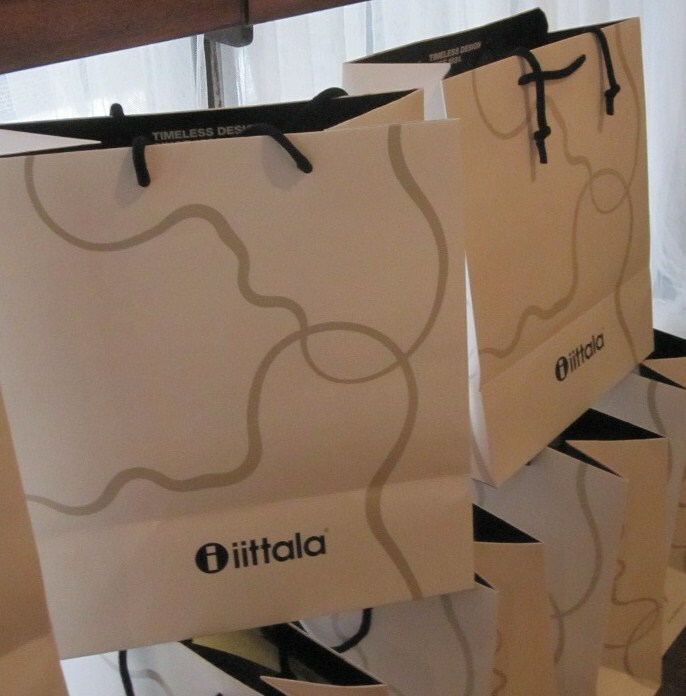 The original Essence line from Iittala was released in 2001. Designed by Alfredo Haberli, the concept was focused on design types. The new Essence Plus line was developed with the intention to highlight the characteristics of the wine. With that in mind, they have created 2 sizes of wine glasses — a larger one for full bodied older wines and a smaller one for lighter, younger wines. The full bodied wine glass having much more of a rounder and bigger bowl to hold the wine. 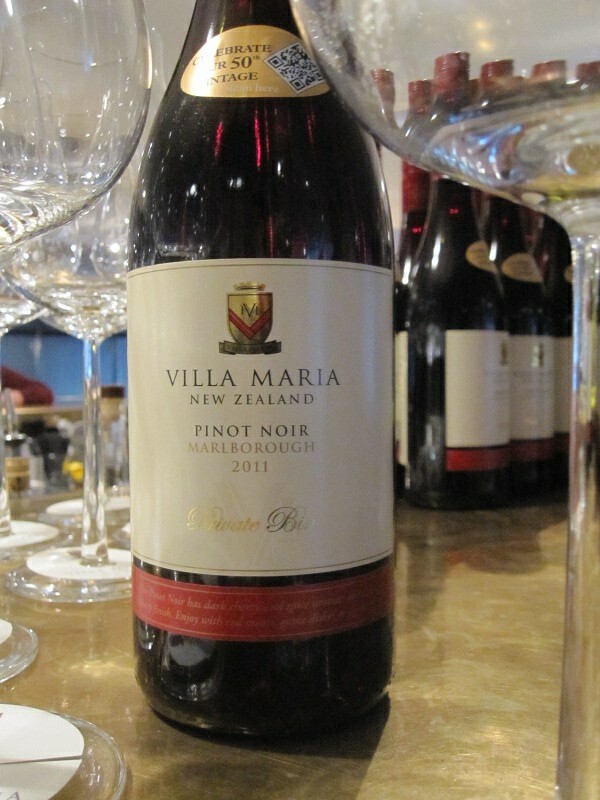 I was intrigued by this idea and we had two wines to try – a Villa Maria Private Reserve pinot noir and a Villa Maria Private Reserve sauvignon blanc. New Zealand pinot noir is darker and heavier then more traditional pinots. In the bigger glass, most people did find that it enhanced the aromas of the wine but on the palate, the wine seemed to lose it’s energy and in the smaller glass showed itself more generously and made for a more enjoyable drinking experience. So, contrary to expectations, this NZ pinot noir was better in the smaller glass. I poured the sauvignon blanc into the smaller, traditional, “white wine” glass as well as the bigger glass. Again it was amusing for me to hear the reactions from the consumers, for them the aromas were more intense and the wine seemed to be lost in the bigger glass, it’s aromas dissipating and the flavours being quite flat. Although, I expected the white wine to taste better in the smaller glass, it was a provocative exercise to see the effect of the glass size on the wine and also to hear feedback from consumers. A eye-opening experiment and one that you can try for yourself at home. The Essence Plus range is reasonably priced (£65 for a set of 4 Essence Plus glasses) and available both on the Iittala website and in retail shops. 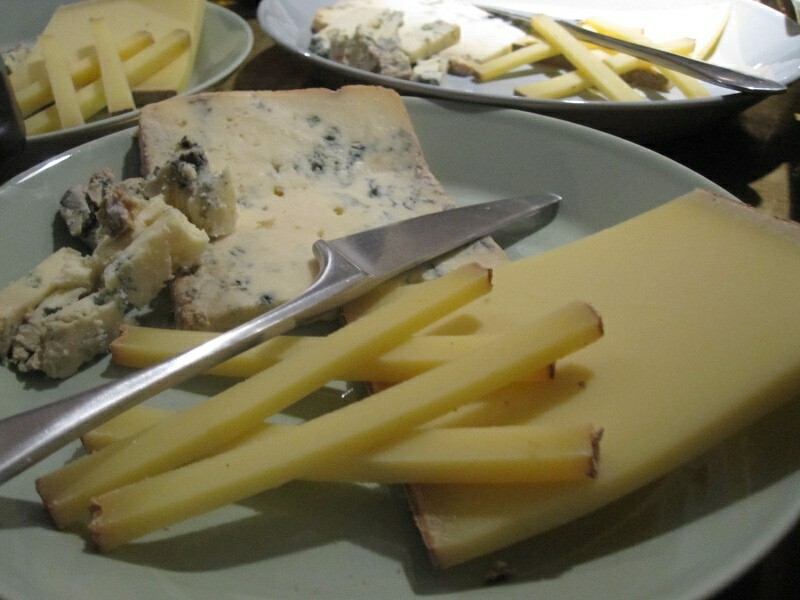 what’s a winetasting without cheese? Finding proper wine glasses at a really affordable price is almost impossible… People keep drinking average quality wines in bad glasses, not enjoying their full potential, thus not getting involved. I personally think it’s a pity this still happens.